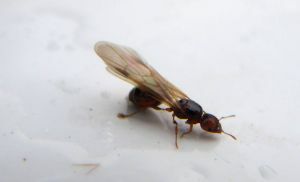 According to Toronto ant control experts, the simplest and easiest way of dealing with these ants is by use of insect killing spray. Also, you can use insect powders e.g. Borax. Borax is known to be effective in getting rid of any type of ants. All you have to do is to pour the powder around holes, cracks or any other openings where you suspect ants exist. You can also sprinkle it on top of an ant hole if you can spot one. However, if you don’t have either of this two products (insect spray or powder),soap and water will do. For you to destroy a tree you need to cut its roots. The same thing applies to the flying ants, in order to eradicate these ants completely; you need to exterminate the colony. The best and effective way to achieve this is to use a mixture of artificial sweetener, honey and borax. The artificial sweetener and honey works by attracting the ants, which will then be carried to the colony and eventually annihilate them. You can also use the electric bug zapper. These gadgets are usually hanged on trees or open spaces where the insects can easily fly into it. The insects are killed as they try to go through the tiny holes. Diatomaceous earth is another way of getting rid of annoying insect. Diatomaceous earth which normally contains algae is sprinkled on the ants which then cause them to dry and die. Banking soda sprinkled along the trail of these insects, increases the amount of acidin their bodies which ultimately leads to their death.